If you spend any time amongst people in the London tech startup scene, it won’t be long before you pick up on the influence that Eric Reis’ 2008 book The Lean Startup has had on many people in fledgling businesses. The book describes a methodology for running a new (tech) venture that draws on both the lean manufacturing movement pioneered by the Japanese car industry in the 1980s, but also from agile software development methodologies. Overall, Lean Startup argues that if you want to build a business you need to change your product or service to reflect what your customers need, rather than building the “perfect product” and releasing it to market. Minimum Viable Product (MVP) encourages releasing a new product or service as early as possible, rather than waiting for the whole to be developed. This feels quite similar to time boxing and working releases in agile methods. Continuous deployment encourages all software written to be released into production immediately. Split testing (also know as A/B testing) is an experimental method of testing multiple versions of an application to see which is most preferred by users. It’s been a very common technique in commercial web development for many years. Actionable metrics are measures that allow for meaningful business decisions to be made, as opposed to vanity metrics which tend to just paint a rosy picture of a business’s position. Pivot, which is when a business changes it’s fundamental business proposition on realising that it’s original hypothesis isn’t necessarily a great idea. Nokia, for example, started as a rubber products business, moved into producing cables as part of that product set, then into electronic components and from there into mobile phones and networking equipment. The world of Web applications, and Web analytics is such that there is a lot of data about people’s use of your application generated at the server side which can be analysed using off-the-shelf tools (Google Analytics, for example). Those analytical tools provide so much information that you will probably have data that can provide actionable metrics. If you are delivering an App, that changes: you can find out information automatically about the demographics of people downloading your app, and maybe some very limited usage data (time of use, for example), but that will be about it. Help is at hand though from services like Flurry.com which enable you to build flags to report on specific sorts of activity within your app. Within a browser environment you can deliver different versions of the same service to different people at the same time – having two entirely different versions of your site being tested concurrently is perfectly possible without the end user being much aware of their experimental subject status. Building that kind of testing model into an app becomes more challenging unless you have a level of complexity built into your app (or potentially can find a way to deliver two different versions of basically the same thing to your customer base). Alternatives might include testing versions in a lab, but that can be costly or runs the risk of strange results from using small samples of experimental users and the impact of lab testing in the first place (this, in fact, is kind of what led to the New Coke debacle in the 1980s). 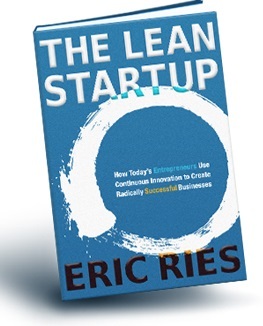 There’s a lot of sensible advice in Ries’ book, but some of the concepts might need a bit of flex in a world where Apps become an increasingly important facet of a tech startup’s business. Great review for a great book for any entrepreneur, even the ones who have done it all before. We use it within the mylearningworx.co team and it is required reading for anyone who wants to come to any planning meeting.